Here we are now in August and Summer is coming up on its last legs. 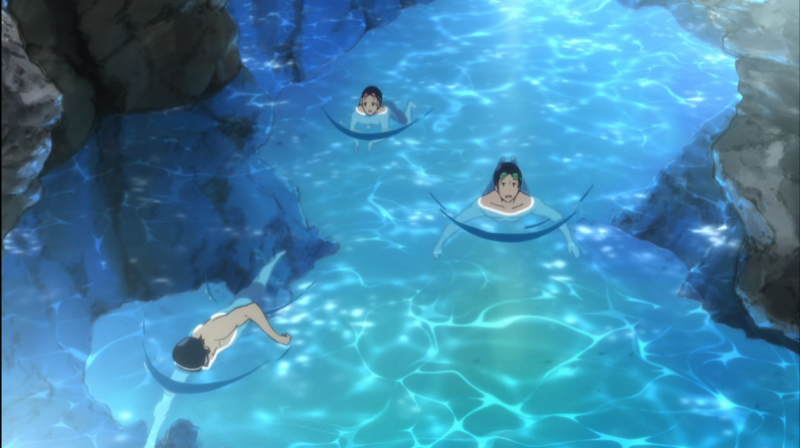 What better way to celebrate the heat than watching some cute anime characters splash around in the ocean? Whether or not you are here for the info or the prospect of cute girls in bikinis doesn’t matter. We welcome all walks of life. 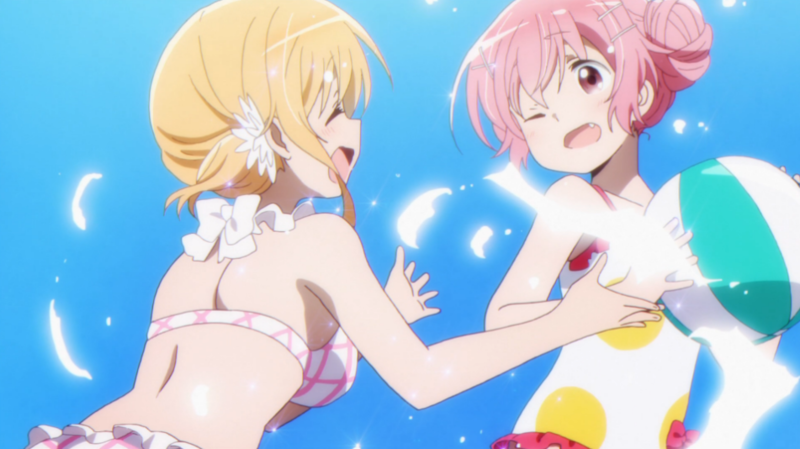 Here is a list of some fun Anime Beach Episodes to watch. Squad 13 is given a much-needed break after defending the kissing plantations in a fierce battle. They head to an unexpected location and find something even more unexpected. They relax and we learn about the pilots, get to see them have fun, and there is some world building. Asta and the other Black Bulls head to Raquey, a place surrounded by a ton of mana. When the leader of the Black Bulls goes off somewhere the others decide to play at the beach. 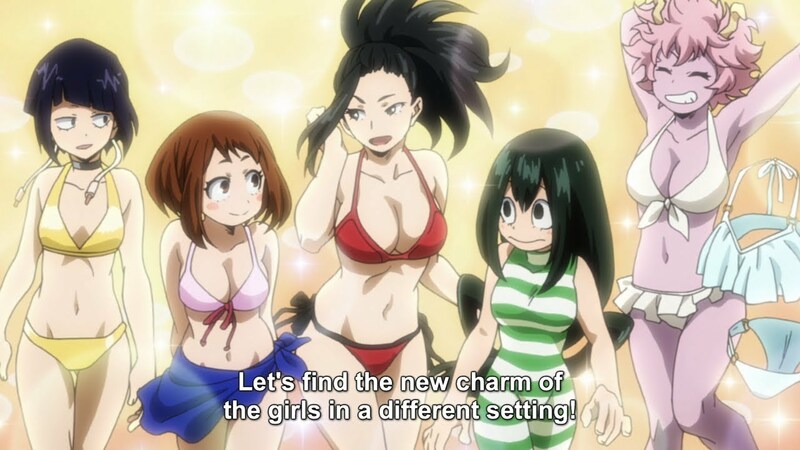 Swimsuits and all! Before the U.A. students head to their training camp, Class 1-A goes to the pool for extra training, and the League of Villains plots their next move. They come up with all kinds of cool contests and it ends up being a really fun episode. 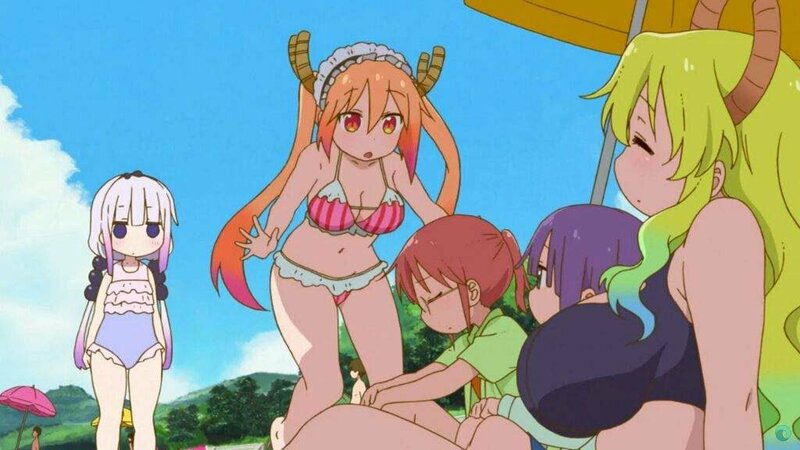 Miss Kobayashi and the others go to the beach. Lucoa gets in trouble for an overly skimpy swimsuit and the lifeguard drags her off. They slather sunscreen on each other and split a watermelon. Also included in the episode is their adventure to Comiket, the summer convention for manga and anime fans. Tohru’s outfit is mistaken for cosplay as she tries to help Kobayashi’s friend sell his book. The boys train at the beach for the upcoming prefectural. Rei gets disappointed when he can’t keep up and goes into the water at night, causing the others to worry and go after him. It’s a seemingly perfect day to go to the beach. 2-D Kun picks everyone up in his car but by they hit some bad traffic. By the time they arrive it is raining and everyone is on edge. Just when everyone has given up sky clears up and they get some good old fashioned beach play in. Episode 5- Amisawa-san, Do You Cosplay? 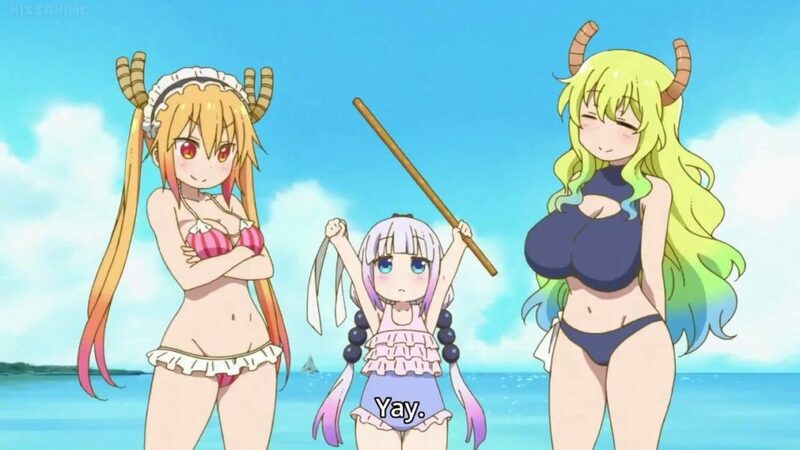 Kaos and the girls go to the beach because Koyume tells them, “Because it’s summer!” Koyume takes the girls to a rental shop to get swimsuits after being the only one to actually bring on. The Other girls have a hard time thinking that the beach would be fun but eventually give in and end up having a great time. 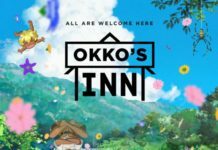 Honoka suggests that the girls borrow Maki’s summer home to come up with ideas and refine the act for their Love Live Performance. The girls arrive at the summer home by the sea and ignore their training in favor of playing on the beach. 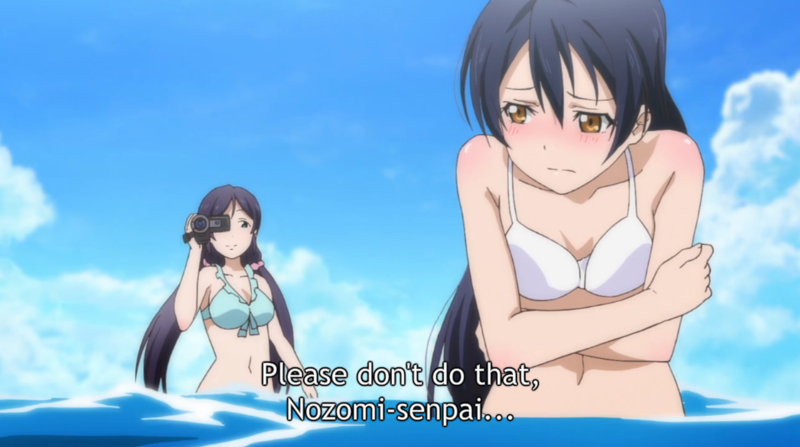 It can be argued that this show is mostly a beach anime this episode is the dedicated beach episode. The girls start summer training camp while helping a local snack bar. They make stew and help out their town’s local snack bar. Episode 9- The Beach! Bathing Suits! Time to Get Serious! The group goes to Nishina’s holiday house by the ocean to swim. They bodyboard, eat out at a beach hut, play volleyball and have a great time together. Meanwhile Shinomiya has a hard time and sees himself as unreliable. After trying and failing to be useful during the barbeque he runs off on his own, causing the others to look for him. 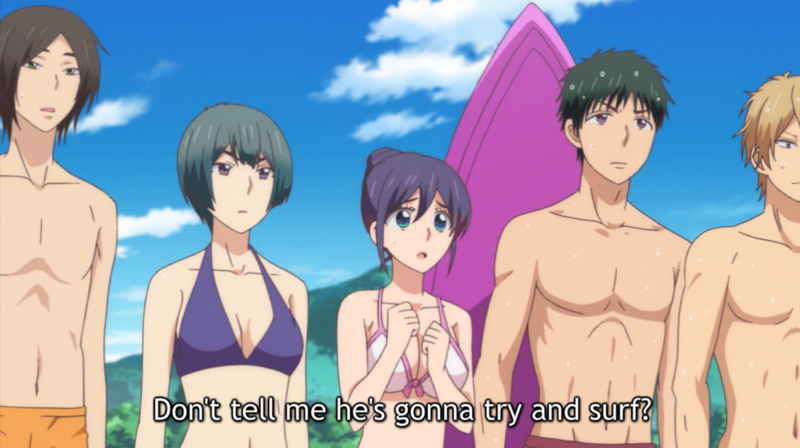 Takeo and Yamato’s group of friends go to the beach for an outing. 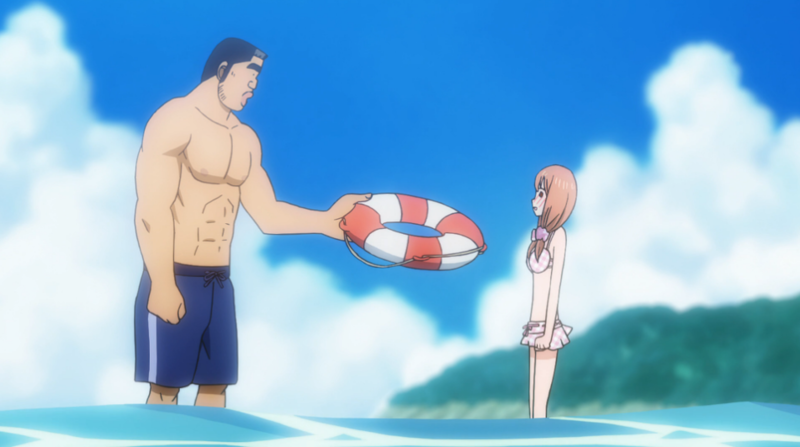 Yamato tries her hardest to get Takeo to notice her in her new suit but he is too busy having fun! Yamato spends the whole episode admiring Takeo. 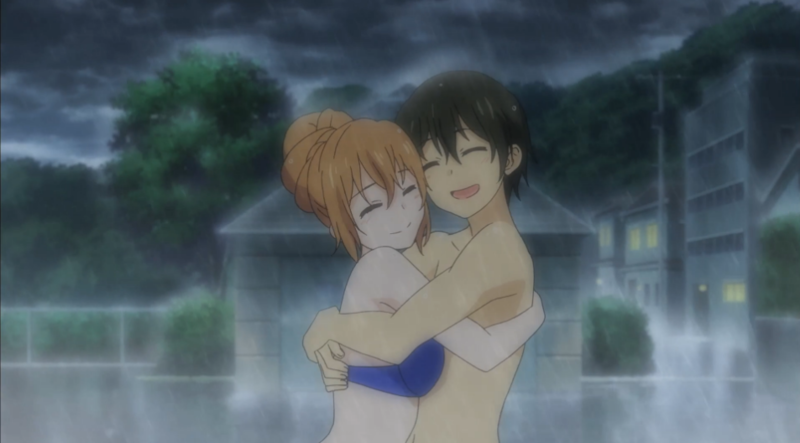 This anime is really cute, I totally recommend it. The host club takes an excursion to a “real” beach. 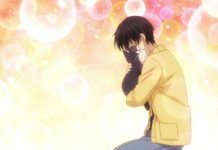 They make a bet to see who can find out what Haruhi is most afraid of. Haruhi nearly drowns and Tamaki comes to the rescue. Nanami is depressed about Tomoe’s rejection. In a funk her friend Ami suggests they all go to the beach. Tomoe says it’s too dangerous but they end up going anyway. 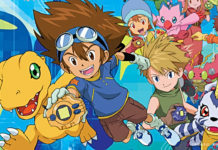 Tomoe is kidnapped by the Dragon King and Nanami and Mizuki go back in time to retrieve the Dragon King’s eye. Hideki, Shinbo, Chi, Ms. Hibiya, Yumi, and Ms. Shimizu decide to go to Minoru’s Beach House over the Spring Break. There, dolphins catch their eye, Chi jumps overboard, and in an attempt to rescue Chi, Hideki nearly drowns himself. 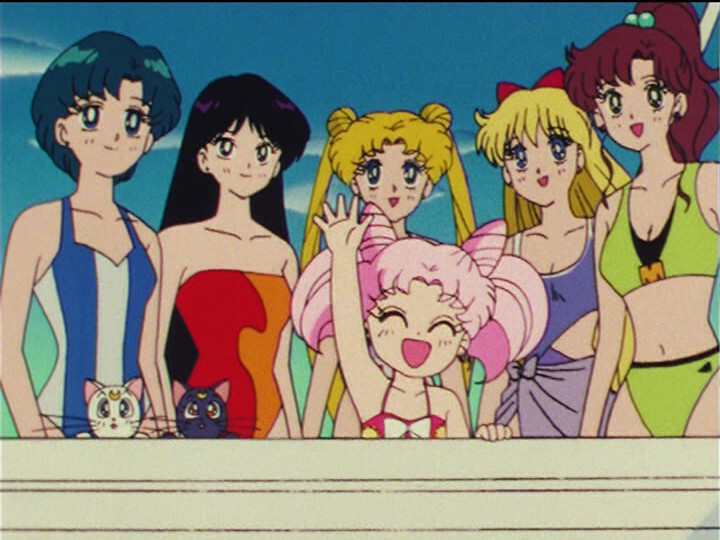 So this is only one of a few beach episodes in Sailor Moon but I chose it because it is the most iconic. 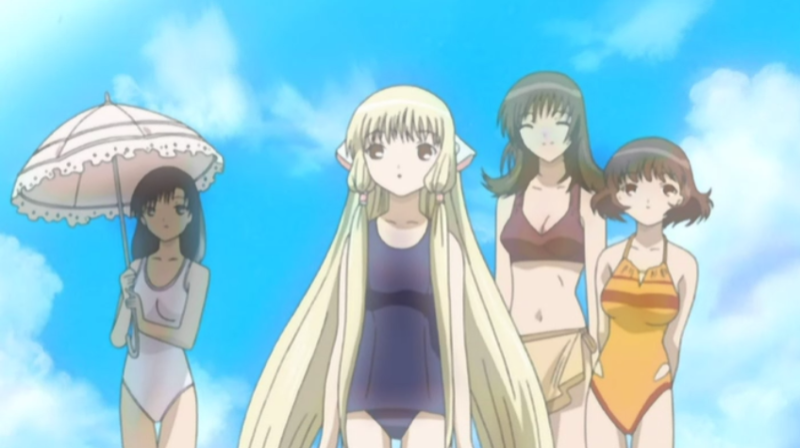 The girls follow Rei to the beach and end up looking for Chibi Usa who has dissapeared. They end up saving a baby dinosaur from an island on the brink of eruption. *Most of these shows are on Crunchyroll, Hulu, or Netflix so enjoy the rest of your summer and watch some relaxing filler episodes! 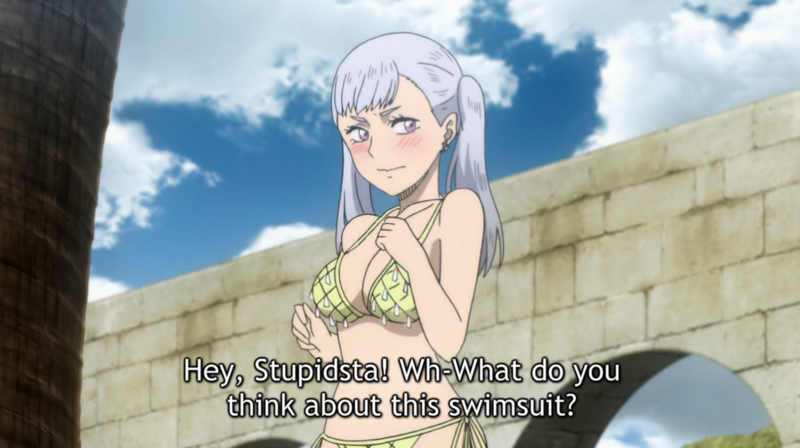 Do you have any favorite beach episodes that I missed? Tell Nerdbot in the comments and get the conversation going!